Heavy rain is pounding the East Coast Friday as drivers hit the roads on a busy holiday travel day. 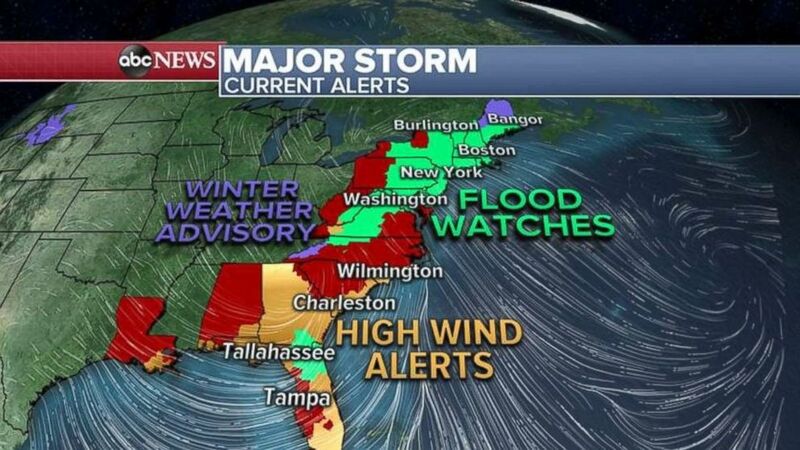 Wind and flood alerts stretch from Florida to Maine Friday afternoon as the major storm system moves east. The rain will end soon in the South, but wind gusts may still reach 30 to 50 mph. Flood, wind and winter weather alerts are in place across the eastern U.S. on Friday. In the Northeast, rain and gusty winds are wreaking havoc on the roads and in the air. By Friday night, heavy rain will still be falling from New York City to Maine, including Boston. Snow showers are expected for the Appalachian Mountains and into the eastern Great Lakes. The storm will move into Canada by Saturday morning with just some lingering snow and rain showers in New England. Meanwhile, several storms are heading to the Pacific Northwest. The storms are expected to bring coastal rain, gusty winds and feet of mountain snow to the West through Monday. 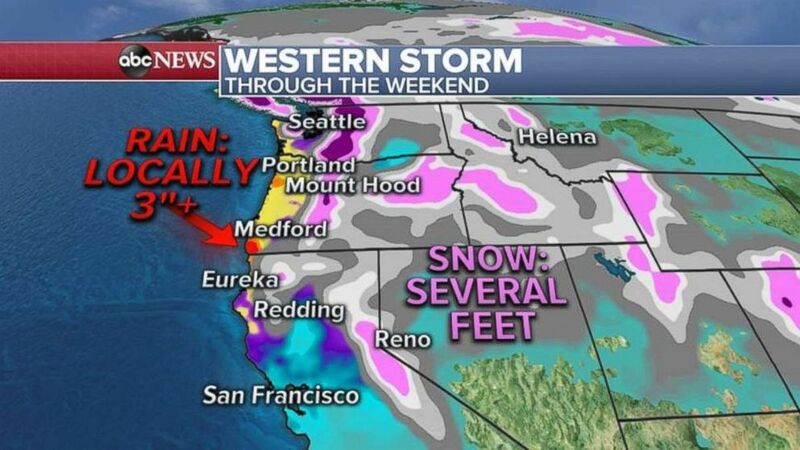 Snow and rain are possible over the weekend in the West.